Previously, we had harped about 10 mythological monsters you may have missed out on from popular media like television shows and movies. 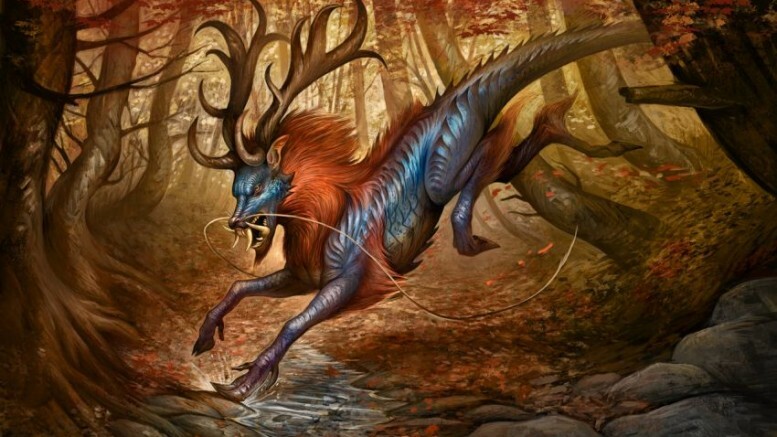 Well, this time around we have decided to up the ante with a myriad of ‘hybrid’ mythical creatures that you may not have known about. So, without further ado, let us check out twelve of such elusive yet outlandish monsters/gods of antiquity that emerge as unearthly crosses between familiar animals and humans. Ominously translating to ‘devourer‘ or ‘soul eater’, the Ammit (also known as Ammut) was an underworld-dwelling Ancient Egyptian goddess/demon who personified divine retribution. Having a multifaceted anatomy of a lion, hippopotamus and a crocodile, she waited for the opportunity to devour the hearts of people who were deemed unworthy (their worthiness being measured by the scales of Ma’at) – thus cursing their ’empty’ souls to roam aimlessly for eternity, instead of otherworldly bliss. 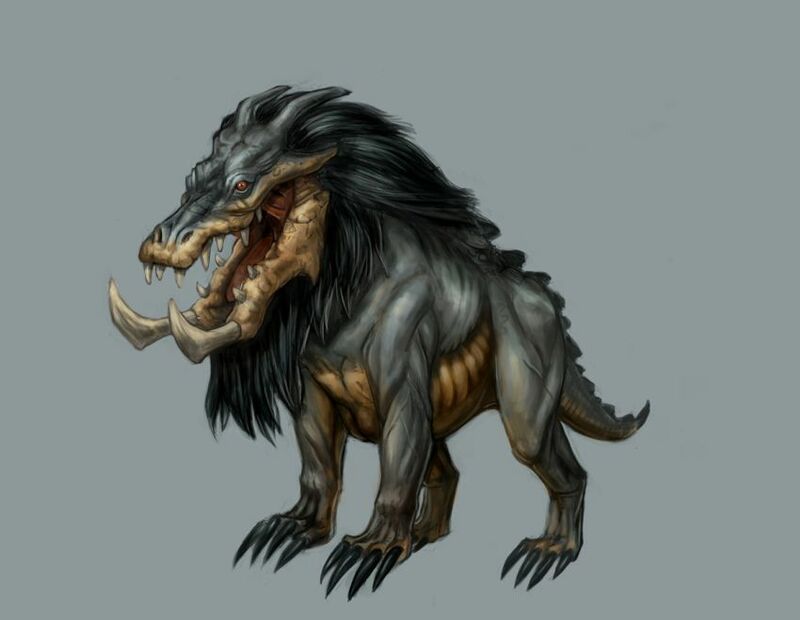 So, in essence, Ammit was not worshiped like other gods; rather she epitomized the collective fear of Egyptians that pertained to ‘second death’. In one of earlier posts about the unknown facts about Dome of Rock, we mentioned how the site is venerated by Muslims because of its significance as the sacred spot from where Prophet Mohammed rose to heaven in his Night Journey. And, he was supposedly carried to heaven on a fantastical white-hued, horse-like creature named Buraq – that was half-mule (or smaller than a mule), half-donkey (or bigger than a donkey) and had wings. 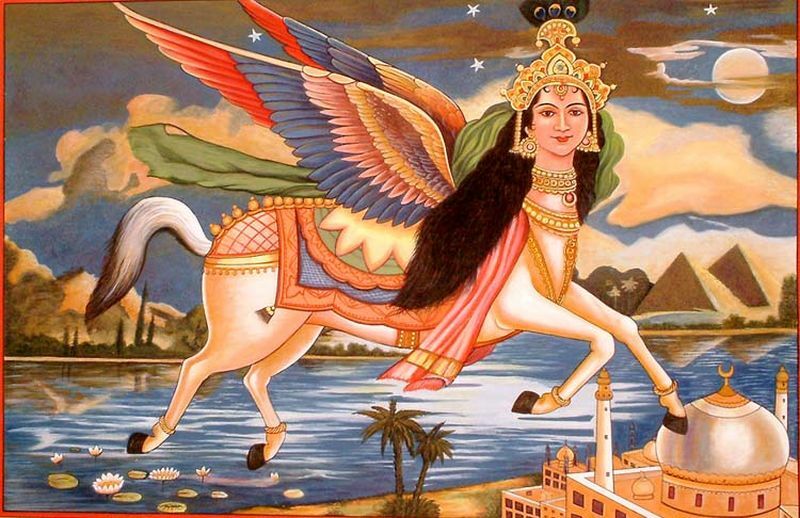 Oddly enough, the eastern sources like Persian and Indian art depict the Buraq to have a humanoid visage and peacock tail, but early-Islamic traditions mention no such specific features. According to Hindu mythology, the Narasimha (or Narasingha) was one among the ten Vishnu avatars with a head of a lion and body of a man. 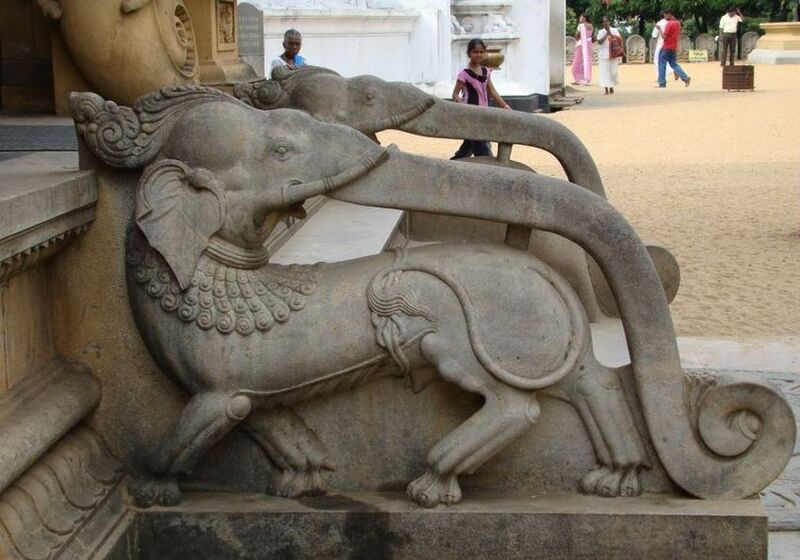 The Gajasimha is most probably a twist on this mythical being (or a variant of Hindu elephant god Ganesha), with its conspicuous elephant head and body of a lion. Unfortunately, there is not much information regarding the hybrid creature, except for its numerous sculptural and painted depictions, mostly found in the temples of South East Asia and South India. 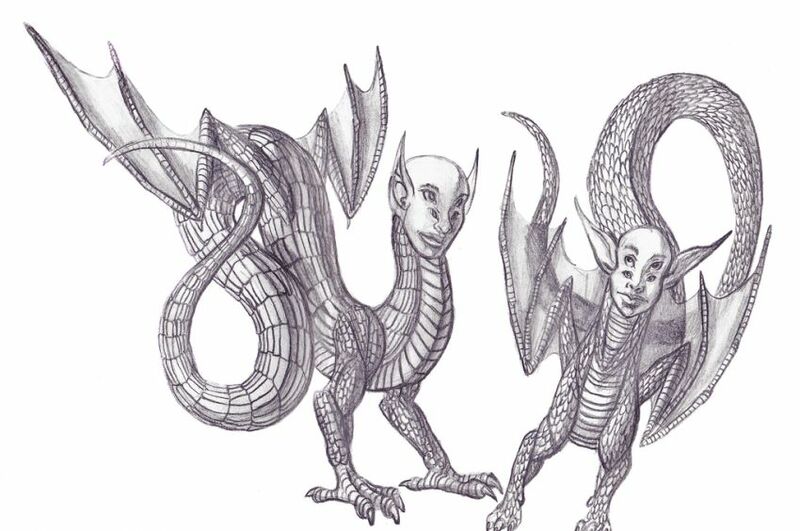 Hatuibwari has been described to have a head of a human with four eyes, the torso of a huge serpent with imposingly grandiose wings, and sometimes also having four pendulous breasts that signify its status as the primordial ancestor of human beings. Mentioned in various traditions and folklore of Melanasia (a Pacific group of islands northeast of Australia), the Hatuibwari was most probably worshiped as a cosmic creature that created as well as nourished the early humans. Few sources have even put ‘him’ across as a masculine version of Mother Earth – thus serving as an antithesis to the commonly portrayed femininity of our planet. 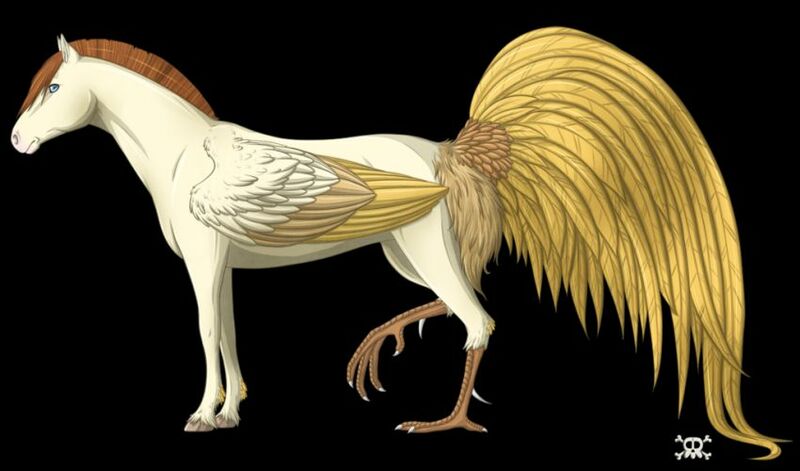 A fantastic creature with depictions as old as 3,000 years, the Hippalectryon is derived from Cretan (or possibly Mycenaean) folklore as a beast with half-horse and half-rooster features. The Athenian comic playwright Aristophanes had described the Hippalectryon as an odd-looking creature with yellowish feathers. The very same author had also made a hypothesis that the origin of the hybrid beast had been influenced by Middle Eastern folkloric traditions. Other sources hint at how the creature may have been an alternative representation of the renowned winged-horse Pegasus. But the most interesting account arguably comes from Aristophanes’s own play ‘The Frogs‘, where he mentions how the Hippalectryon was so comically ugly that it invited laughter from people around, thus driving evil away for good. Intrinsically connected to the scarab beetle, the Khepri was usually depicted as a man with a beetle head in Ancient Egyptian funerary papyri. There was a symbolic side to the whole affair of Khepri worship – with the god epitomizing the forces that moved the sun across the vast expanse of the sky. This connection was derived from the action of scarab beetles when they rolled balls of dung across the rigorous desert surface – while the young beetles emerged from inside the dung, from the eggs laid by the parent. This is in fact related to the Egyptian word ‘kheper‘, which roughly translates to – to change, or to create. 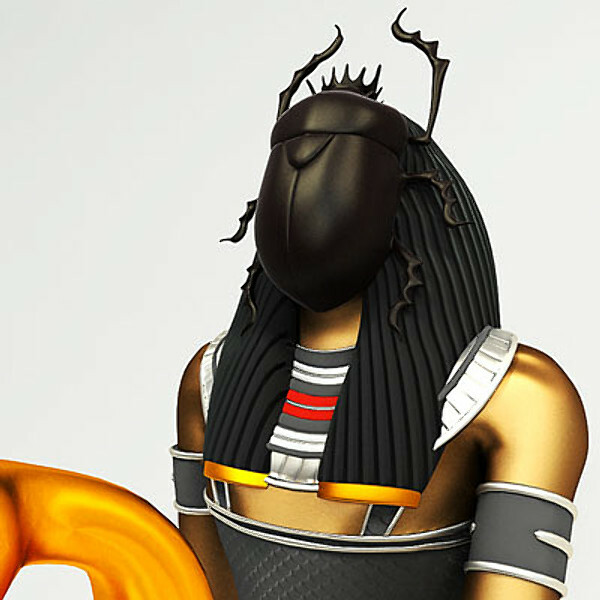 In any case, Khepri was also considered as being subordinate to the more exalted sun god Ra.